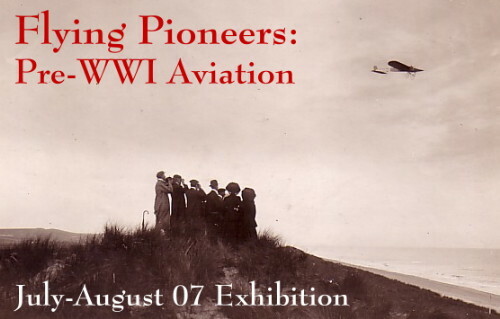 Our July 2007 exhibition presents a selection of 40 pre World War I photos from our large inventory of aviation photographs. The main focus is on french pioneers, especially Louis Bleriot, but we also included a few american and other foreign aviators. We reserve the Russian aviation photos from the Charles Gilbert archive for a separate exhibition at a later date. The subjects we plan to showcase next are a special selection of circa 1930 press photographs and pre World War I Russian Aviation.